Roger Aiken and Maurice “Mo” Green have been appointed to UNC Asheville’s Board of Trustees. The UNC System Board of Governors made the appointments at its March 22 meeting, and also reappointed Rick Lutovsky, Robby Russell, and Oscar Wong to new four-year terms on UNC Asheville’s board. The nominations for all five trustees were made by UNC Asheville and were submitted by Chancellor Nancy J. Cable. Aiken and Green will be sworn in at the August Board of Trustees meeting. Green will complete the final two-years of Ronald Paulus’ term after he stepped down from the board last June. Aiken was appointed to a four-year term, replacing N. King Prather who will step down from the board having completed two full terms, including serving as both chair and vice chair of the board. 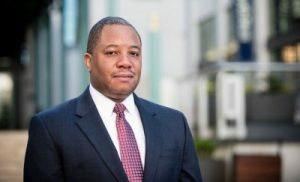 Green, a longtime resident of North Carolina, is executive director of the Z. Smith Reynolds Foundation, one of the largest philanthropies in North Carolina, with $572 million invested in the state and annual grants that support educational quality and access. Green also has provided many years of service to North Carolina in his role as a superintendent of Guilford County Schools for more than seven years, and prior, in many roles at Charlotte-Mecklenburg Schools, serving as deputy superintendent, chief operating officer and general counsel. Trained as an attorney, Green began his career as a lawyer in private practice after completing two judicial clerkships. He has a B.A. in political science and economics, and a law degree, both from Duke University. 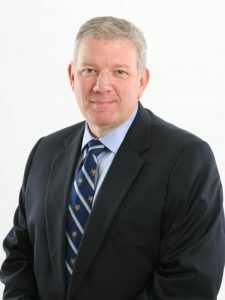 Aiken, a native of Asheville, serves as managing director – complex manager for Wells Fargo Advisors and has three decades of experience in the financial services industry. Additionally, he is very active in civic affairs and as a journalist, having written bi-weekly op-ed columns for the Asheville Citizen-Times, and for 10 years providing the morning business report for WLOS-TV. Aiken served as vice-chair of the UNC System Board of Governors, and is a past chair of the Buncombe County Board of Education. He earned a B.A./B.S. degree at Appalachian State University, double-majoring in marketing and management. UNC Asheville’s Board of Trustees is comprised of 13 members, including the president of the university’s Student Government Association, who serves ex-officio. For more information, contact UNC Asheville’s Office of the Chancellor at 828.251.6500.